With Nobel Prize-winner Marie Curie’s discovery of the material radium in 1898 came a widespread fascination with the stuff. At this point, its deadly properties weren’t known let alone understood, and by the 1920s several companies—Panerai included—had developed commercial uses for the substance. This wasn’t limited to watches: the ‘health’—in inverted commas—benefits of Radium resulted in a radium-lined water container called the ‘Revigator’, which claimed to cure arthritis amongst other things; radium-based foodstuffs like bread and chocolate; and a radium-laced toothpaste given the seal of approval by a Doctor Alfred Curie—no relation to Marie Curie whatsoever. Clinics and spas were dedicated to the supposedly curative properties of radium. The trademark radium glow was even used in cosmetics and children’s toys. In 1936, dive gauge manufacturer Officine Panerai and watchmaker Rolex joined forces to build a watch at the request of the Italian Royal Navy. Intended for use during covert, night-time dives, Panerai’s expertise gave what was essentially a complete watch from Rolex that extra level of functionality: a glowing dial. 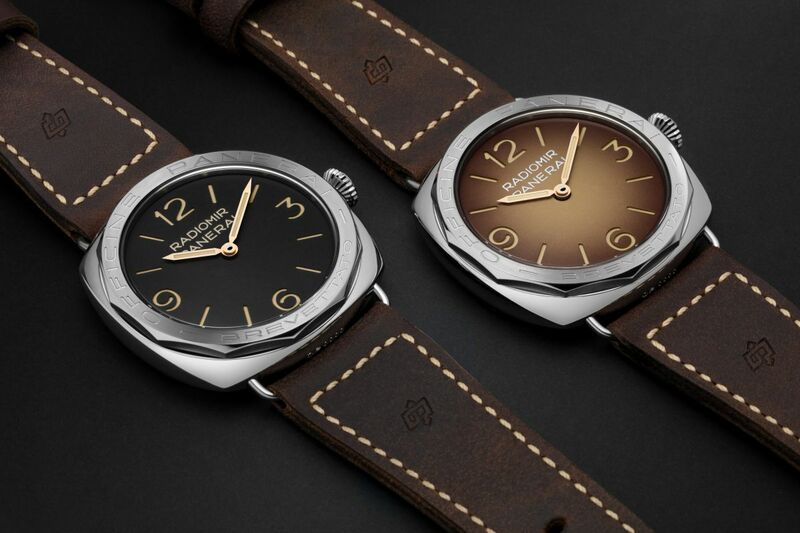 With numerals that shone clear and legible at a consistent and unfaltering rate, the PaneraiRadiomir was unstoppable. There was just one tiny problem with it, however—that glowing dial was deadly.Now, radium itself doesn’t glow, but its radiation can excite the electrons in a phosphorescent material like zinc sulphide, which then emits energy as light. This was the basis of Panerai’s glowing Radiomir paint, which it patented in 1916. Note the Italian for ‘patented’, Brevettato, as seen on this Radiomir 685 1938 re-edition. Across the Atlantic in America, meanwhile, and a slew of radium-based paint brands were springing up. Radium was the most expensive material by weight in the world at the time, and the demand was huge. Factories employed thousands of ladies to apply this glowing paint to many different products, including watch dials. When the girls left the factories at night, they themselves glowed. At the time, it was considered a perk.